Dozens of "Doctor Who" TV episodes are lost as visual film recordings - but they survive as audio soundtracks, digitally remastered with additional linking narration by members of the original cast. This handsome 12CD box set collects together five adventures which are either wholly or partially lost from the TV archives, but which can be enjoyed in their entirety on audio. Presented in chronological order of transmission, the stories in this collection are "Marco Polo", "The Reign of Terror", "The Crusade", "Galaxy 4", and "The Myth Makers", all starring William Hartnell as the original Doctor. It also includes bonus interviews with William Russell (Ian), Carole Ann Ford (Susan) and Maureen O'Brien (Vicki) in which they recall their time as Doctor Who companions; colour scans of the original TV camera scripts for all 25 episodes, presented as PDF files and a JPEG map showing the route taken by the Doctor and his companions in the company of the explorer Marco Polo. 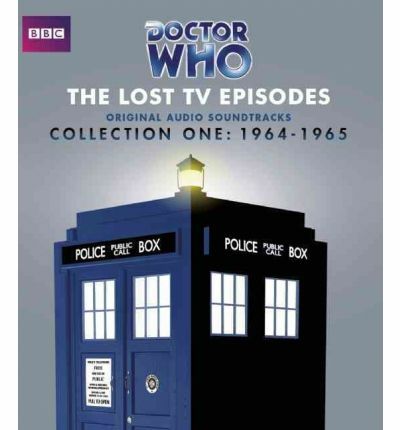 "The Lost TV Episodes Collections" are presented in an attractive tuck-end slipcase. Each individual story is presented in its own rigid case with accompanying sleeve notes, cast & production credits and full track listing.